Learn from a US vet in a clinic, volunteer with elephants, and have an adventure! Add clinical skills to your vet school application and volunteer with elephants. Open to high school graduates. Explore the veterinary profession from a new angle - elephants in the tropics! Learn SCUBA and protect coral reefs on a tropical island. Explore conservation at an elephant sanctuary and in the jungle. 14 weeks of hands-on, veterinary courses designed with pre-vets in mind. Work with elephants, dogs, cats, and a variety of wildlife. Travel Thailand from the mountain forests to the island reefs. 3 months of veterinary medicine, animal care, and adventures in South Africa, Thailand and Ecuador. Rehabilitate, reintroduce, and care for animals who are victims of wildlife trafficking in the Ecuadorian Amazon rainforest. Learn SCUBA, help to research marine fishes populations, and explore San Cristobal Island. Volunteer with cheetahs at a conservation and breeding facility on the African savannah. Search for the Big Five on safari in Kruger National Park. Work with a variety of species at an Animal and Owl Sanctuary, learning about conservation and medical needs of animals in captivity. Enjoy a safari to day safari to Pilanesberg National Park. Not your typical study abroad! Experience the best cultural, adventure, and environmental activities that Chiang Mai has to offer. Message us on Facebook about this program! 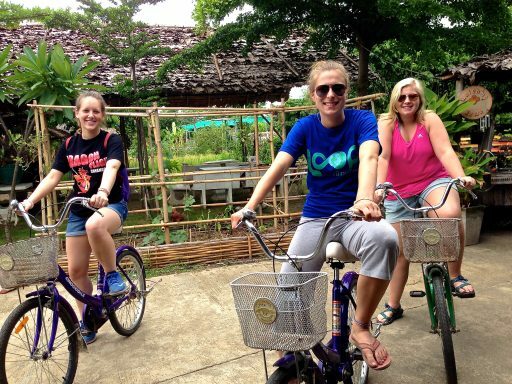 This two-week program gives you the opportunity to explore Chiang Mai, while learning about Thai culture. Learn how to cook traditional Thai food, zipline through the jungle and feel like you’re flying, learn the traditional art of paper making, learn how to meditate in a jungle temple, and go hiking through rice paddies. Spend one week at an elephant sanctuary. Live and work with the 60-some elephants there, cutting their food, feeding them, and getting to know their unique personalities. Anyone age 16-23. Individuals from any country may apply. There are no pre-requisites for this program. It’s a great fit for students who want to live and work among elephants, but also want to see what this beautiful city and its surroundings have to offer. It’s for students who don’t mind getting their hands dirty and are eager to explore a new culture, but who don’t want a language-immersion or homestay program. 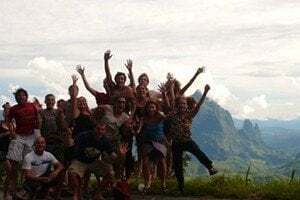 It’s for independent and interested students who want to travel with a group. Each session of this program can accommodate a maximum of 16 students. Read student reviews on GoOverseas and GoAbroad! *Dates indicate departure from and return to New York. Final dates may be adjusted 1 day in either direction to accommodate flight availability. Some flights depart early in the morning and may require students to arrive in New York the night before. Loop Abroad reserves the right to cancel any program at any time; in case of such cancellation by Loop Abroad, all payments will be returned in full. Want to stay for a whole month? Add a two-week program! Our Thailand 101 program is a full adventure on its own, but it can also be combined with our Thailand College Veterinary Service. Combine two programs for an automatic 10% discount on your tuition. Airfare costs stay the same. Tuition is $3,450 USD not including international airfare. Airfare on the group flight from New York, NY is $1,785 round-trip including taxes and fees. Tuition includes all meals and activities. Your tuition includes donations to the Elephant Nature Park to help fund medicine, food, and care for the animals. This program is designed for students from a wide range of educational interests and backgrounds. The program provides 40 service hours. Loop Abroad is a certifying organization for the Presidential Volunteer Service Award, for which those hours are eligible. Want to travel with us longer? We’re extremely excited to show you what Northern Thailand has to offer. 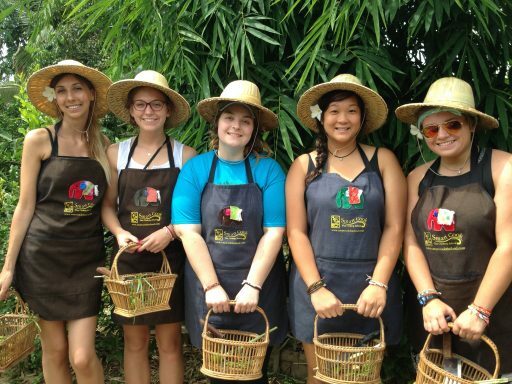 Chiang Mai is home to many of our staff and a very special place in the hearts of all of our students. It offers unparalleled cultural experiences in a safe, comfortable environment. Home to over sixty elephants who are no longer able to work in elephant-based industries or have been rescued from inhumane conditions in logging, trekking, or circus operations. The Park and its founder, Lek Chailert, have been recognized time and again for tireless efforts to improve the lives of elephants in SE Asia. From papaya salad to coconut curry, from elephants to gibbons, from bamboo huts to bustling cafes, Thailand is a whole new world to explore. 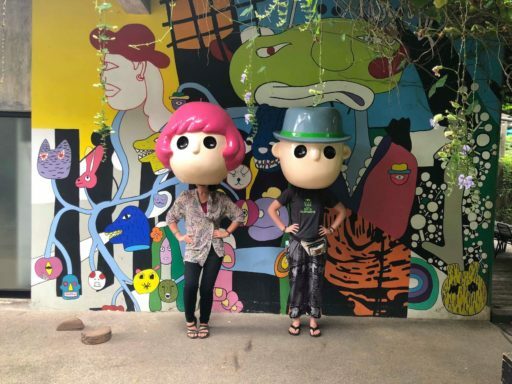 Chiang Mai is a city of surprises and contradictions. Once the center of the ancient Lanna Kingdom, the old city walls and brick Buddhist stupas remind passers-by of the city's 700 year history. In this two-week program the group will spend one week volunteering at the Elephant Nature Park, working hands-on with the elephants and seeing first-hand how a successful NGO is run. 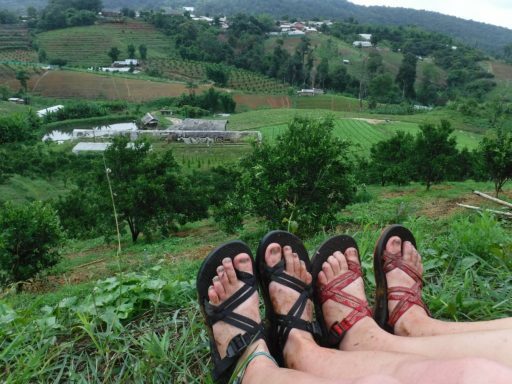 The second week will be spent in the city of Chiang Mai with full days of cultural and adventurous activities. Your itinerary may vary slightly based on weather, holidays, and a number of other factors. 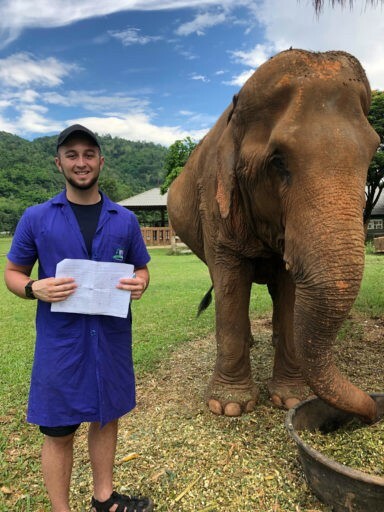 The other week is spent living and volunteering with the elephants at the Elephant Nature Park in a specially-tailored volunteer program. Students work with the elephants, helping to feed them, cut their food, clean their homes, and provide overall care for them. They will also help with sanctuary upkeep and have the chance to participate in cultural activities. You will also have opportunities to volunteer with the puppies at the dog shelter on the property, visit an elementary school near the park, help with all sorts of farm chores, have a Thai lesson, and meet with Lek Chailert, world-renowned conservationist and founder of the Elephant Nature Park. You’ll notice that elephant riding is not included in this itinerary. Learn about why we don’t ride elephants. Note: Either the Elephant Nature Park or the Chiang Mai week may come first in your itinerary. Every program begins with a safety orientation. We’ll discuss how to stay safe and healthy during your time in Thailand. We’ll also discuss best practices for staying safe with all of the different species we will be interacting with, and staff will always be on hand to further instruct students regarding safe interactions with animals. While most dogs are very friendly, some would rather be left alone. It is important to approach all dogs carefully. At the Elephant Nature Park, we work only with female elephants. Elephants are accompanied by at least one trained caretaker at all times. The Elephant Nature Park has been hosting volunteers since the early 1990s and has an exemplary safety record. All dogs at ARK and the Elephant Nature Park have been vaccinated against rabies. 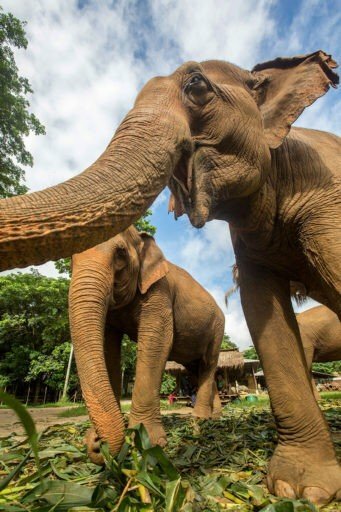 You will have the opportunity to touch, feed, and get plenty of up close photos with elephants, but it is important to also allow the elephants to have the freedom to enjoy their natural environment and the company of their elephant friends. It can be even more rewarding to watch the elephants interacting with their natural environment from a distance because this is when their true personalities shine! Students will always be accompanied by trained guides and volunteer coordinators who will instruct students in how to safely interact with the elephants. Chasing the Dragon’s Tail: The Struggle to Save Thailand’s Wild Cats, by Alan Rabinowitz. Alan Rabinowitz is one of the leading authors on protecting large cats in the wild. He is the director of the Science and Exploration Program at the Wildlife Conservation Society, and has led research expeditions all over the world. He is known for founding the world’s first jaguar reserve, which lies in Belize. This book is a sad and beautiful tale of the author’s struggle to understand Thailand and to help save the wild cat population of Thailand. When Elephants Weep: The Emotional Lives of Animals, by Jeffrey Moussaieff Masson and Susan McCarthy. This New York Times Bestseller was heralded as “A masterpiece, the most comprehensive and compelling argument for animal sensibility…”. Elephants are the national animal of Thailand, and are an important symbol in religion and culture there. They are also intelligent, social animals who are on the brink of extinction in Asia and Africa. This text is a great exploration of the emotional lives of elephants and an eye-opening tale for students of conservation and the behavior of animals, human or otherwise. Elephant Memories, by Cynthia Moss. Cynthia Moss is founder and director of the Amboseli Elephant Research Project in Africa. As a study of a family of African Elephants in Kenya over twenty-seven years, this book is a moving and important book. “One is soon swept away by this ‘Babar’ for adults. By the end, one wants to curse human civilization and cry out, ‘Now God stand up for the elephants!’”, wrote Christopher Lehmann-Haupt of the New York Times. *Links are affiliate links – thanks for helping to support Loop Abroad! Spend an extra week with elephants in a village setting! Your adventure is waiting. Start your application today! For private student groups and faculty-led courses, we can build a curriculum to your needs. © 2017 Loop Abroad. All right reserved. Powered by Iglu.